The government has proposed a badger cull, where thousands of badgers are being shot as they flee from the guns, as a reaction to the ongoing issue of bovine tuberculosis (TB) and it’s set to begin in two trial areas – West Somerset and West Gloucestershire – in June. The Government remains committed to going ahead with the cull this summer, despite the widespread opposition and the fact that it will only have a minor impact on the disease yet a maximum, highly destructive and negative impact on one of our best loved creatures. There are potentially thousands of badgers under threat. 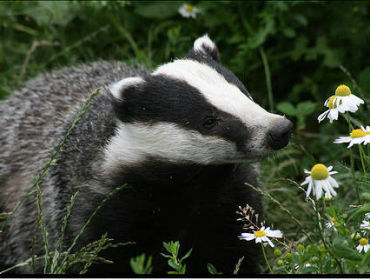 The Badger Protection League, their partner organisations and supporters are committed to ensure the cull doesn’t take place and is forever abandoned in favour of vaccinating badgers and developing an effective bovine TB vaccine. Vaccination has already proven to be successful here in Wales, where over 1,400 badgers have already been protected against bovine TB as part of a five-year programme of work to eliminate TB completely. 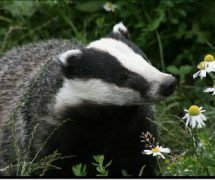 The Welsh initiative reflects the constructive alternative to culling that the League, with Team Badger, is calling for. It also demonstrates that the co-operation is possible between the farming industry and government in taking a positive and decisive action which is against the spread of bovine TB. The cull has previously been postponed from last October after a sustained and comprehensive campaigning which included a number of organisations and in addition, a parliamentary debate at the time resulted with an overwhelming vote of 147 to 28 against the cull. The latest stage of the campaign began with a public meeting which resulted in great attendance in Taunton on Saturday 20th April. Representatives of the League and their Team Badger partner organisations attended the meeting which asked for public support against the planned badger cull in England. Speakers at the meeting included musician Brian May; Gavin Grant, Chief Executive of RSPCA; and Steve Jones, retired dairy farmer and leader of the ‘Not In This Farmer’s Name’ campaign. If you are like me and are against the cull then please help out by ordering campaign postcards, which you can find in the high-street shop chain, Lush, in order to tell the government’s Policy Minister that this cull will cost them dear at election time. What do you think of the cull? Are you against it? If the vaccinations were successful here in Wales, do you think it would be an ideal option for England? Comment below.